3 Days Only - FREE SHIPPING on Stampin' Up orders! The new catalog is out and what better time to get some new goodies than during a FREE SHIPPING special! From today through 9 pm Eastern Time on Friday, July 29th, you can get FREE SHIPPING on your order of $60 or more! Also, any orders of $150 or more receives the FREE Hostess Benefits! The Summer Mini Catalog will soon be gone! The Summer Mini Catalog has been a huge hit, but it will soon be gone. If you've had your eyes on the fabulous sets and accessories in this catalog, don't wait too long or it will be too late. Grab a cold drink and start going through your wish list because with FREE SHIPPING on orders of $60 or more (no matter which catalog you order from), this is the perfect time to get what you've been wishing for. Place an order ANY TIME from 9 am Wednesday, NoJuly 27th, through 9 pm Friday, July 29th and get FREE SHIPPING on all orders of $60 and over! Orders MUST be called or emailed to me to get the FREE shipping. I'll also be having a PRIZE DRAWING for everyone participating in this "FREE SHIPPING" Special! One winner will be drawn at random on Friday night to receive a FREE Summer Eats & Paper Treats E-book! Remember - orders MUST be called or emailed to me to get the FREE shipping. This "FREE SHIPPING" Special ends at 9 pm, Friday, July 29th. ** Any orders over $150 will qualify for hostess benefits. ** All orders are shipped direct through UPS. Online Open House! Free shipping! We got 10 inches of snow on Friday, which meant that I has to cancel my annual Sale-a-bration Open House event here at my studio. Since the event was canceled, I know there are many of you that wanted to come and see some new techniques along with making a couple of projects made with new product. Now with this turning into an ONLINE Open House event, even those of you that are far away or couldn't make it can take part AND I'm making 2 projects for everyone that places an order through my ONLINE Open House event! The only thing I can't send you is the brownie sundae. No worries, I'll eat it for you! It's Sale-a-bration time and that means FREE sets and accessories! I'll be using SAB sets in the projects, along with some new Occasions Mini Catalog products. Read on to find out what's in store with this ONLINE Open House event and how you can earn door prize tickets for some AWESOME prizes! Click here to view the Sale-a-bration Catalog online! I'll draw a winning name by random draw and the winner will receive a FREE stamp set! Email me or call me with your order anytime by Monday, February 28th at 9 pm (Eastern Time). ~ Orders of $75 or more will receive FREE shipping (* full tax applies). ~ ALL orders will receive 2 FREE handmade projects. ~ Receive a FREE Sale-a-bration item for each $50 in catalog merchandise you order (before tax & shipping). Orders must be placed by 9 pm (Eastern Time) Monday, February 28th. Everyone that places an order during my ONLINE Open House event will receive the 2 handmade projects that I planned for the event at my studio. I'll be using new items from the Occasions Mini Catalog, so you don't want to miss out! Get a great discount on your Stampin' Up order! 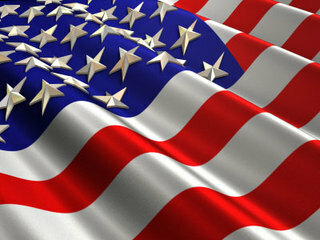 I'm celebrating and so can you! I'm excited to tell that I just recently earned a Career Milestone Award from Stampin' Up! I want to thank all of you for helping me to get this award, because if it weren't for all of you, it would have been impossible! To celebrate and to thank you, I'm offering an amazing special on your Stampin' UP order! For today and tomorrow (9/29 and 9/30), you can get 15% off your entire order from the Big catalog and the Holiday Mini Catalog! US orders only, please (as per SU rules). Full tax and shipping apply on all orders. Don't have a catalog? No problem! If you need a catalog to look through, I've got you covered. 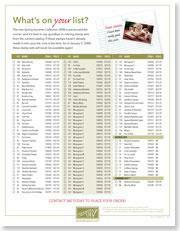 Simply click on the link below to browse through the catalog online. Stampin' UP Inventory Blowout Sale! Stampin' Up just announced their Inventory Blowout Sale today! You can get up to 50% OFF on select items from now through January 18th. Don't wait long, though. These items are only while supplies last! 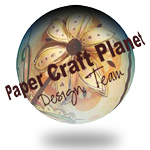 You can order on MY STAMPIN' UP WEBSITE and clicking on the orange SHOP NOW button at the top of the page under my contact info. And don't forget the 20% off special we're having right now on selected sets through January 18th (when you place an order of $20 or more). You can check that special out by CLICKING HERE. This is a great time to use some of your gift money from the holidays to splurge a bit for yourself AND get a great deal at the same time! You can also call or email me at any time to place an order, as well. I'm always happy to help with questions! Contact me any time! Memorial Day weekend is upon us and that means all sort of sales. But who wants to brave the crowds this weekend? And wouldn't you rather shop from the comfort of your own home? So, what's better than having your order delivered right to your door?? No driving! And what's better than not having to drive?? Place an order ANY TIME from 10 am Friday, May 23rd, through 9 pm Monday, May 26th and get FREE SHIPPING on all orders $60 and over! Don't have a BIG Stampin' UP catalog at hand? Just CLICK HERE to view our catalog online! Make sure you don't forget the awesome Occasions Mini Catalog - it's only here for a little while longer and then it'll be GONE! Also.... through May 31st, when you spend $35 on any Stampin' Up! products, you'll get 25% off all On Board chipboard products from pages 178-179 of the Spring/Summer Catalog! And.....Get a free hobby blade when you purchase a Stampin' Up Cutting Mat (page 184 in the big catalog). If you call in your order and get my voice mail, please leave your order on my voice mail and I will call you back with a total. The "4-Day Free Shipping" Special ends at 9 pm, Monday night (May 26th). Orders totaling $150 will receive free hostess benefits. Full tax applies in states where tax is applicable. This special is only available through Erika Martin, Your Stampin' Up Demonstrator. This special does NOT apply to orders placed at local workshops. Last Chance for Retiring Sets & Accessories! Time is running out and soon, the retiring sets and accessories will be gone for good! Make sure that you get what you've been drooling over before they disappear! Your Last Chance to order is January 1st by 9 pm Eastern Time! 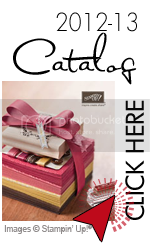 And Stampin' Up has also extended their Wrapping Up the Holidays special. You can still purchase from this special....but ONLY through December 31st! Orders must be paid for no later than January 2nd. All orders are shipped direct by UPS. 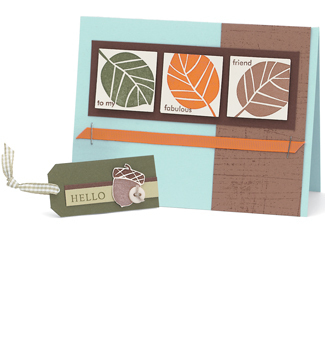 Stampin' UP is caught up in a Fall Frenzy! Stampin' Up just announced it's FANTASTIC September special! From Sept. 1 - Sept. 30th, when you spend $30 in regular-priced merchandise, you qualify to purchase ONE OF EACH from six stamps from our Fall/Winter Collection 2007 and the newly released Holiday 2007 Mini Collection at an AWESOME 30% OFF! These sets were chosen with the coming holidays in mind and conjure up images of crisp falling leaves, warm autumn tones and hot apple cider in front of a fire. So....what sets are included in this Frenzied Special? Don't miss out on these! It's a fantastic deal and you could also get some of your holiday gift shopping done early!